‘Separation of church and state’ has once again come to the forefront of American politics with last Thursday’s signing by President Trump of a new executive order that expanded religious rights...a move that could very possibly redefine the role of religion in ‘We the People’s’ day-to-day life. And yet that order did not go far enough for some far right conservative who had expected even more...more as in measures leading up to a theocracy perhaps. No one is ever happy it seems and everyone tries to push the envelope...as in give an inch, try to take a mile. Now as for the Trump order itself...it must be understood that this executive order did not change any rules currently on the books as it simply instructed the IRS to stop investigating religious groups who preach politics from the pulpit...a move that obviously had Evangelicals loudly cheering. 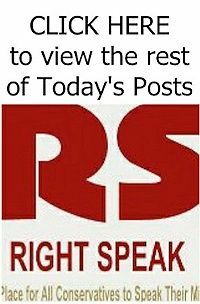 Saying it was a victory for religious freedom and for free speech, it now has leaders of more liberal-minded Christian and Jewish denominations fearing that worship services will soon become nothing but ‘worked into a frenzy’ political rallies. 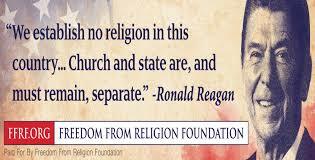 To answer that question and understand exactly what President Trump’s executive order really intended, we first must look at what some believe is meant by ‘separation of church and state’ and the truth of what it does mean via the words of our Founders and Framers...words you an see President Reagan understood well. First, know that the actual words ‘separation of church and state’ are not in the Constitution but the idea and intent of ‘separation’ is. 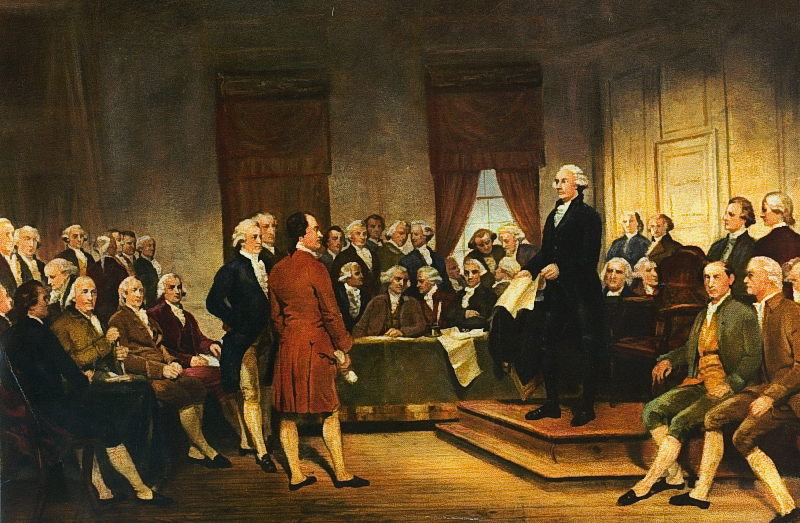 Article VI provides that all state and federal officials "shall be bound by oath or affirmation, to support this Constitution; but no religious test shall ever be required as a qualification to any office or public trust under the United States,” and the First Amendment's Establishment Clause means that neither a specific church nor a specific religion can become the official faith of these United States. On the other hand, the Free Exercise Clause states that Congress shall not make laws "prohibiting the free exercise" of religion. In other words, one can freely practice their chosen religion but one cannot try to force their chosen religion or its tenets and doctrines on government operations nor on the public at large. And all this brouhaha over what role religion is to play or not to play in American political life is not the sole property of today’s politicians for the questioning of this issue started when our nation was young with Thomas Jefferson’s January 1, 1802 letter to the Danbury, Connecticut Baptists and his three key words “walls of separation.” Written to assure their leaders that the Establishment Clause had been put in place to protect them and others of faith, the simple truth is that by 1802, ‘separation of church and state’ was already deeply rooted in both American religious and secular history. In fact, James Madison had already written that government involvement with the church "implies either that the civil magistrate is a competent judge of religious truth; or that he may employ religion as an engine of civil policy. The first is an arrogant pretension falsified by the contradictory opinions of rulers in all ages, and throughout the world: the second an unhallowed perversion of the means of salvation." 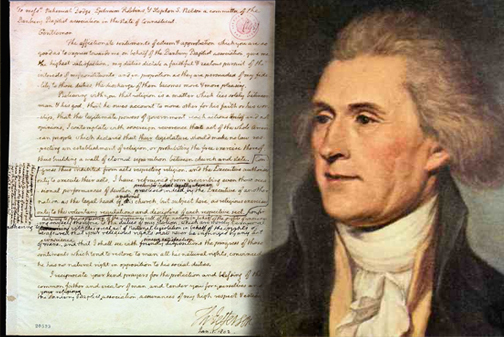 In other words, Madison felt that the use of religion by political leaders for their own ends was a danger both to the faithful and to what he called the “peace of society”...the very basis of the Constitution. And let’s not forget the words of retired conservative Supreme Court Justice Sandra Day O'Connor who in 2005 wrote that, "Those who would renegotiate the boundaries between church and state must therefore answer a difficult question: why would we trade a system that has served us so well (the Constitution) for one that has served others so poorly? 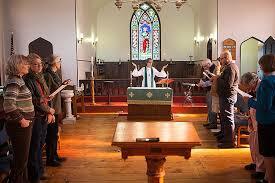 "...as in religion has not always served those who believe or our country well. 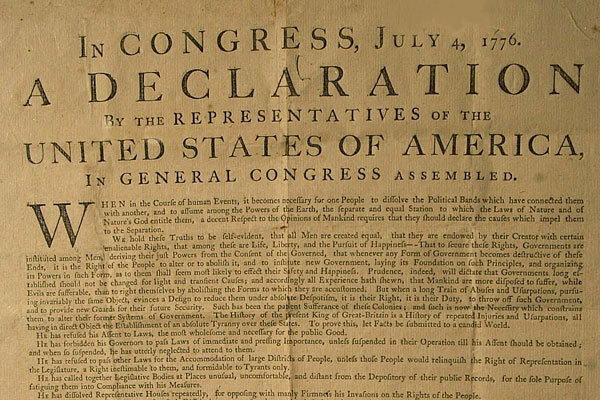 Remember, our Founders and Framers, with some being men of faith also saw others being deists, hence not all were followers of Christ for if all were, and if Christianity was intended to be the religion of this nation, why then were the words ‘God’ and ‘Jesus’ not in the Constitution, and why is religion only referenced as something not to be a factor in government as in the afore mentioned "religion will not be a test for public office." Why...that probably harks back to the words of the Declaration of Independence itself which states, “When in the Course of human events it becomes necessary for one people to dissolve the political bands which have connected them with another and to assume among the powers of the earth, the separate and equal station to which the Laws of Nature and of Nature's God entitle them a decent respect to the opinions of mankind requires that they should declare the causes which impel them to the separation,” meaning that our Founders and Framers clearly did not put religion over science (ie, the "Laws of Nature") nor science over religion but treated them equally under the eyes of the law...with equally being of paramount importance. And so our Founders and Framers intended that the Constitution alone be the law of the land and not the Holy Bible. And again why...because they knew the Bible was open then and would be open in the future to the interpretations of the individual while the Constitution was to be adjudicated as written with its intent, when questioned, left to the Supreme Court alone to decide. And let’s not forget that they intended for the ‘separation of church and state’ to be as much for the protection of the Church as it was to be for the protection of the state, because they knew that if the Church can dictate state matters, the state in turn could dictate to the religious how their religion is to be practiced....something the religious far right has not yet realized. And I am not talking about things like ‘wedding cakes’ and ‘pizza parlors’...which are social issues and as such belong to the states alone...but in the actual way one practices their Christian faith as in when churches are to be open and how and when one prays. And know that nowhere in today’s America is any Christian prevented from going to Church, praying in Church, or praying in their homes. And while outwardly praying in public places remains a hot topic of debate, one is free to silently pray at the time or place of their choosing. So, how does all this relate to the executive order just signed by President Trump? 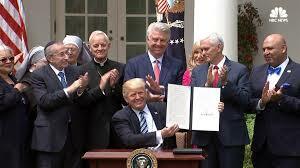 First, you need to understand that what President Trump signed was simply an easing of federal restrictions on some political activities by religious groups thus “promoting free speech and religious liberty.” The final version of the order addressed two key issues alone...it instructed the Internal Revenue Service “not take any adverse action against any individual, house of worship, or other religious organization” that endorse or oppose candidates from the pulpit (and know that this applies only to advocating for or against a specific candidate...taking positions on issues has always been permitted)...and it instructs the Departments of Treasury, Labor, and Health and Human Services to "consider amending" regulations in the still in effect ObamaCare (the American Health Care Plan must still pass in the Senate before becoming law) that requires most employers to cover contraception in employee insurance plans. 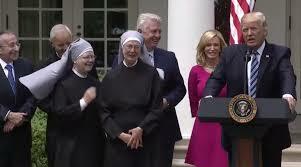 Now let me say that I wholeheartedly support the second part of this order...and I am happy that the Catholic nuns known as the Little Sisters of the Poor won their case against ObamaCare...as I believe the government has no business whatsoever in any part of our reproduction process from the forcing on us of contraception to the act of abortion, and that includes having our taxpayer dollars pay for said abortions...for I truly believe that if you want an abortion you must pay for it yourself and let your conscious and your God deal with the aftermath of what you have done. 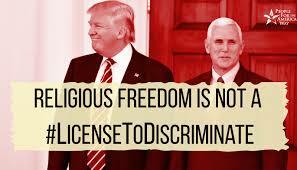 Now as for the first part...while Trump’s executive order directs the government “to vigorously enforce Federal law’s robust protections for religious freedom,” nowhere does it state exactly what protections for religious freedoms it alludes to. Therefore, does it mean muslims have the religious right, as per islamic/sharia law, to perform female genital mutilation...it very well could and also could see cases currently before the courts regarding this practice to be thrown out based upon religious grounds. A specific religion feels right at home in the very House that should show no preference for any religion...dangerous grounds being trod upon I would say. And while Moore and his fellow Evangelicals relish in this new order, other far right conservatives say that it does little in actuality because while it overturns the prohibition on pastors endorsing or opposing political candidates from the pulpit it still requires an act of Congress relating to approval, and because the IRS still has flexibility in what it chooses to enforce. Citing the order’s words “exercise maximum enforcement discretion of the prohibition,” which alludes to the Johnson Amendment...the provision in the U.S. tax code that prohibits all 501(c)(3) non-profit organizations from endorsing or opposing political candidates...including Houses of Worship...these folks remain unhappy that the issues of gay marriage and gender were not touched upon. And while more moderate conservatives believe this belly-aching is nothing but Evangelicals wanting a license to discriminate against any and all who do not agree with their beliefs...I must admit that I agree with the moderates on this as once again the Evangelicals refuse to understand that these gender and lifestyle issues are state’s issues and cannot be part of federal executive orders. And they willingly choose to forget that the Supreme Court’s ruling regarding gay marriage concerned legal matters only, and did not touch upon the religious aspect of this union. So, how does this executive order breach the ‘separation of church and state’ issue? And it seems the majority of Americans if not outright agreeing with him do understand the intent and need for ‘separation of church and state’ and how it has kept our country from becoming a theocracy. In fact, as per a 2016 Pew Research Center survey few want the previously stated Johnson Amendment repealed. According to said survey 71% of Americans oppose allowing houses of worship to endorse political candidates while maintaining their tax-exempt status. In fact, only 36% of white Evangelicals support enabling churches to support candidate, mainline white Protestants hold at 23%, Catholics at 25%, and black Protestants at 19%. 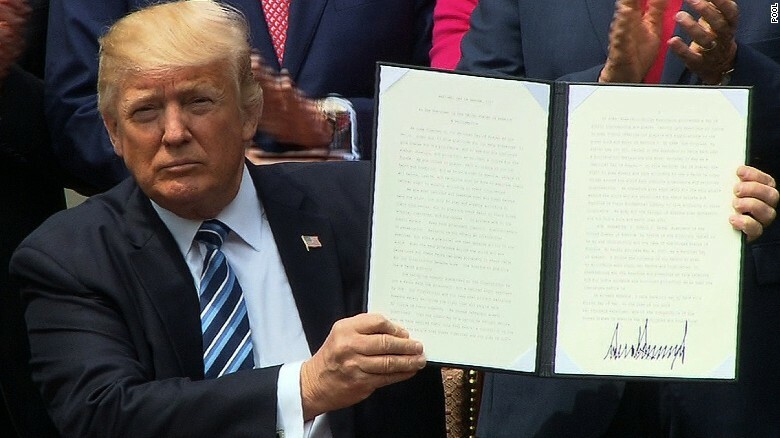 And here’s a fact the religious hardliners do not want known...in an open letter to President Trump, 1,300 faith leaders opposed his executive order, including its possible weakening of the above stated Johnson Amendment. So what does this all mean...it means that this executive order...no matter President Trump’s words that “We are giving churches their voices back”...knowingly or not puts the wishes of a small sector of the religious far right above the wishes of the many, thus actually compromising the true meaning of religious freedom as it allows a small but very vocal religious minority to play politics and doing so while hiding behind the guise of religion as they will continue to discriminate against those who do not live up to their religious tenets and dogma. And that indeed violates the intent of ‘separation of church and state’ and can lead us down a very dangerous path towards a theocracy... something our Founding Fathers never wanted or intended us to be.